Did you make time for the most important meal of the day? Well, we can probably guarantee that watching you scarf down a bagel and sip coffee wasn’t as interesting a sight as these 47 baby goats having breakfast. Nothing more, nothing less: It’s just a video of baby goats being their naturally adorable selves, because the kids simply got it like that. There’s no way human mealtime can even compete with the cuteness in this video of the farm animals all sprinting to their moms to get their morning time grub on. Since these goats are being casually adorable and not all over-the-top sweet, we think you can handle watching them eat breakfast without lapsing into a complete cuteness overload-induced malfunction. As a precaution, here’s a warmup in the form of a jumping baby goat. Sooo, we unintentionally fibbed about that squee cramp potential of this video. 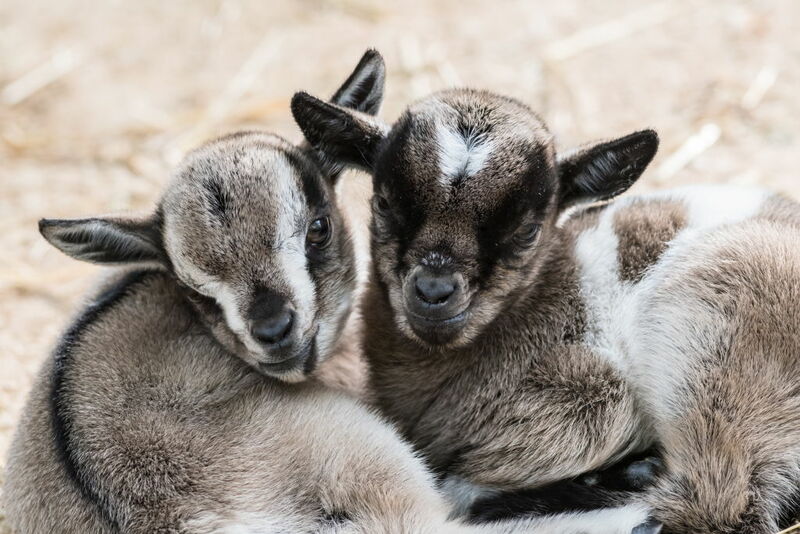 We’re actually working out a kink in our shoulders as we speak because OMG, HOW EFFIN’ CUTE ARE THESE GOATS?! The kid being fed with a bottle has our heart in its hooves. So, who else is ready to quit your 9-5 and go into cuddling baby goats for a living?